LUYA | Elbows off the table? The Chester Grosvenor hosts live debate on modern restaurant etiquette. When we think of restaurant etiquette, we’re often reminded of genteel customs rooted in tradition; from the do’s and dont’s of passing food around the table to correctly sipping soup from a spoon (the spoon is held in the right-hand and the soup should be sipped from the side, not the end, in case you were wondering…). Nowadays, etiquette and table manners have evolved into a more comprehensive, democratic code of conduct that is centred more on comfort, relaxation and healthy social interaction between our fellow diners. On 31st January, we invited over 100 business professionals and university students from across the region to The Chester Grosvenor’s inaugural ‘Art of Table Manners’ panel discussion and set about debating the topic of modern restaurant etiquette and its current place in society. 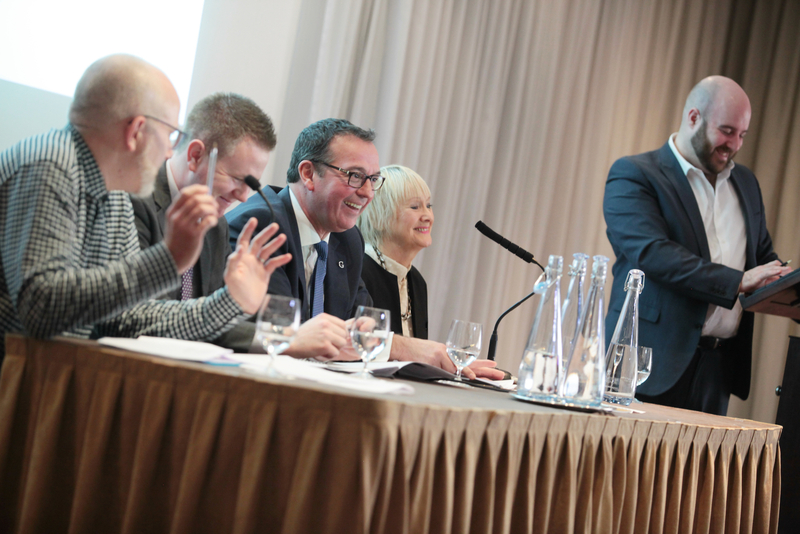 Our expert panellists included; national journalist and reviewer, Tony Naylor; General Manager of the Chester Grosvenor, Richard Grove; Manager of Restaurants and Bars, Jaime McCormack and etiquette tutor and former BBC Newsreader, Diana Mather. University of Chester Employer Engagement Co-ordinator and TEDx Licensee and Producer, Adam Crane, hosted the panel. Topics ranged from hotel and restaurant traditions and service through the ages to the contentious issue of mobile phones at the dinner table and the impact that social media has had on the dining experience.